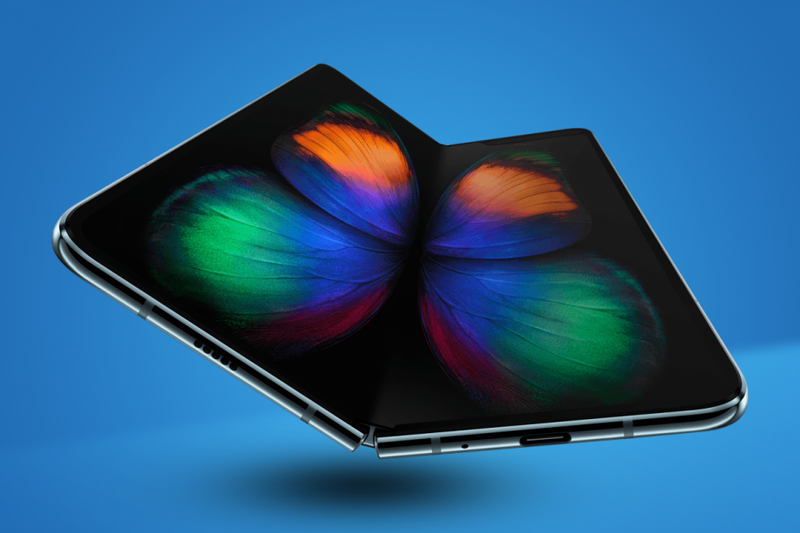 During Samsung Galaxy Unpacked 2019 event, the company announced the Galaxy Fold, a folding smartphone-tablet hybrid. The Galaxy Fold features a 4.6” display when folded, and a 7.3” display in its tablet form. It uses an infinity-flex display that includes a sophisticated hinge system that creates a “seamless, elegant look." The phone comes in Cosmos Black, Space Silver, Martian Green and Astro Blue, and customers can personalize the hinge color. When closed, it can make calls and fits in the palm of your hand. When opened, it can view videos, and much more. It also includes three app multitasking, a 7nm processor, 12 GB of RAM and 512 GB storage. To power all of this, it includes two batteries - one on each side. It also houses 6 cameras, 3 on the back, 2 on the inside and 1 in the front. The Galaxy Fold is starting at $1,980 and will be available on April 26.